Ian McDermott has dedicated his life to giving people the tools to deal with the challenges they face and the necessary skills to create their own solutions. He decided the best way to do this was to train the next generation of coaches. Much of his time is spent advising senior leaders worldwide and coaching the next generation to be innovative leaders. However, he also continues to work with individuals. The Founder of International Teaching Seminars (ITS) Ian has worked with hundreds of organizations and thousands of people. Based in the UK and the US, he has a global perspective working with international companies focusing on Leadership, Collaboration, Innovation, Entrepreneurship and Risk. From practical experience he knows what it takes to run a long-term successful business: this year International Teaching Seminars is celebrating its 30th anniversary. The man who bought NLP and coaching together Ian is a thought leader in the field of leadership, innovation and collaboration. A prolific author, his books have been translated into 20 languages. They include The Art of Systems Thinking, The NLP Coach, and The Coaching Bible. His most recent is The Collaborative Leader: The Ultimate Leadership Challenge. Ian is an Honorary Fellow of Exeter University Business School where his focus is on entrepreneurship and innovation. He is Dean of Innovation & Learning for the Purposeful Planning Institute in the US and his work is featured in the Open University’s MBA course ‘Creativity, Innovation and Change’. Ian is also External Faculty at Henley Business School and a co-creator of the Henley MSc. in Coaching and Behavioural Change. 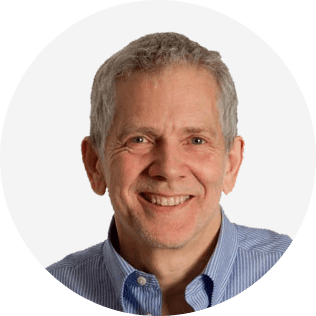 Ian is a UKCP accredited psychotherapist and a Diplomate in Professional Coaching of the International Academy of Behavioural Medicine, Counselling and Psychotherapy. He has pioneered Leadership and Innovation Coaching and has literally trained a generation of coaches. He was described by the Independent as ‘the coaches’ coach’. He is a member of the Association for Coaching’s Global Advisory Panel and is AC Global Ambassador for Innovation and Collaboration. Ian’s coaching also reaches into working with high net worth families and their advisors, focusing on legacy training and succession planning. With his colleague Professor of Applied Neuroscience, Patricia Riddell, he has pioneered making the latest practical applications of work in the neurosciences available to people from all walks of life. Together they have created a new international benchmark in Applied Neuroscience certification trainings. These are delivered through ITS. Ian’s primary focus is on delivering practical ‘how-tos’ to ensure learning and change, innovation and collaboration really happen. Coaching invariably involves making changes – or innovating. Innovation so often involves risk, be it financial, reputational, emotional or physical. So how are you, your team and your clients with risk? How we relate to risk affects our innovative potential in every area of our life – including coaching. Risk is an integral part of living a human life. Everyday we make assessments about the relative risk of doing one thing rather than another – and so do our clients. It’s useful if you have some way of calibrating and deciding what’s appropriate. That’s why I created the Risk Continuum. Risk is a reality of our lives. It is real and it is also a mind-set. How we engage with both dimensions will affect our own and our clients’ potential. Whether we’re talking about an individual, a team or an organization we need to distinguish between being out of our comfort zone versus being scared versus being at risk. Some people are simply risk averse. With organisations this often correlates with concern about litigation and culpability. Then there is the more nuanced risk avoidance aimed at minimising risk by avoiding as much of it as possible. However, there is a third way. I call it risk awareness. Here your actions constitute experiments which you learn from. Here there is no such thing as failure, only feedback, which can then feed forward and help you improve future performance. These different mindsets have distinct neurological signatures as they trigger activity in different parts of the brain. Not surprisingly risk aversion and to a lesser extent avoidance trigger amygdala activity. At its most acute this is associated with fearfulness, anxiety and distress. By contrast risk awareness involves the more dispassionate assessing associated with the pre-frontal cortex. You and your clients can learn to move along the Risk Continuum. I want to show you how. 2. Help clients differentiate between real and perceived risk and assess their own risk profile. 3. Learn how to use Risk Awareness so life can be safer and you and your clients can be more free. Mastery in coaching – or anything else – is not about perfection. It’s much more to do with being clear about where you’re going and developing the ability to make easy, elegant and successful in-course correction whenever the need arises. To do this you need to be able to innovate. This is why innovation and mastery go hand in hand. Ever made a successful change in your life? The answer is going to be yes – unless you’re still the same as you were twenty years ago. But do you think of yourself as an innovator? Most people don’t and most coaches don’t think of themselves like this either. Owning your innovative potential is crucial if you’re going to deliver all that you could. Understanding what triggers an innovative mindset and how to strengthen it will enable you to add enormous value. When we’re developing a new way of doing anything we often need to go through a number of iterations to get it right. So do you and your clients have the flexibility and the stamina to do this? If you commit to remaining innovative in your own coaching practice you’ll be making the journey toward greater coaching mastery. Why? Because you’ll necessarily be going beyond your previous limits and, in stretching yourself, learning how to expand your repertoire and deliver greater value to your clients. However, such innovation involves trial and error learning. That’s trial and ERROR learning. So how are you – and your clients – with making mistakes? No mistakes, no mastery! In this webinar I want to share with some of the ways you can foster an innovative mindset in yourself and your clients be they individuals, teams or organizations. 1.Learn how to develop an innovative mindset in yourself and with your clients. 2. Learn how to remove the tyranny of perfectionism and overcome performance anxiety so you and they have the freedom to experiment. 3. Develop the stamina and flexibility to stay the course as you instigate innovative change.